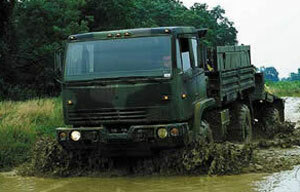 The Light Medium Tactical Vehicle (LMTV) has a 2.5-ton capacity (cargo and van models). ISO Group provides spare parts and solutions for all LMTV variants. ISO Group has experience in the LMTV Engine Assemblies, Drivetrain, Transmission, Wheels, Electrical Assemblies, Weapons Systems, and Accessories. Follow the links below or call for more detailed information.